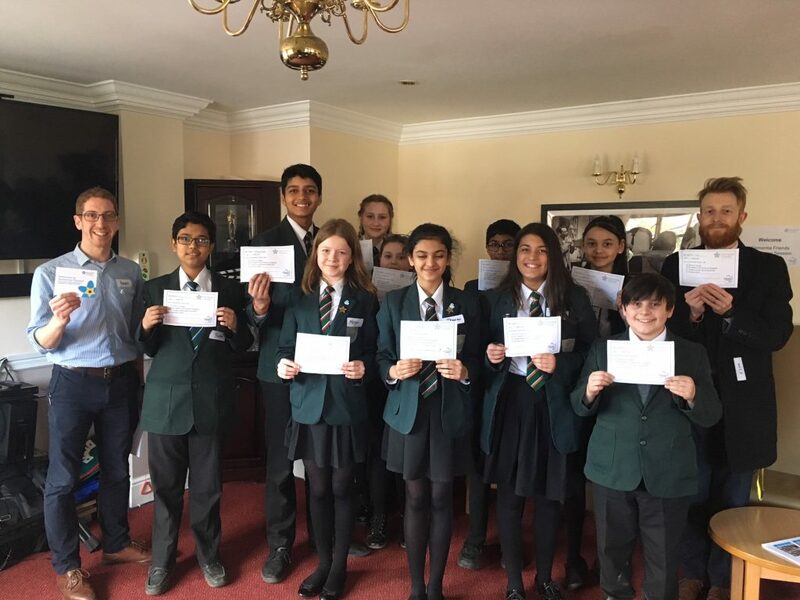 The house volunteers have completed a ‘dementia friend’ training session, to help them with the amazing volunteer work they are doing at Bushey House. The session was very informative and was run by Robert Speker at another local care home -Sydmar Lodge- in Edgware. Students were encouraged to think about the different difficulties faced by those with dementia, and were given some tips as to how to make people with dementia feel happy and supported. The students are all now proud wearers of blue dementia friend badges, to show that they have completed the training, and are committed to raise awareness and support dementia sufferers. Part of their role as dementia friends is to educate others on dementia. So, If you would like any more information about what it means to have dementia, or how you can help someone who does, ask the house volunteers. They will be happy to help!